Twenty three years since its inception, Sophia’s Book Store in Koregaon Park is one of the must-visit places in Pune. Sophia herself enjoys spending her day amidst the stacked paperbacks and hard-bounds. What is very most impressive about the place is that you’re sure to find the book you’re looking for. What started with a pile of textbooks for sale gradually lead to collections of fiction and non-fiction and now is an establishment that can procure a book that most larger stores wouldn’t be able to get their hands on. Sophia not only sells brand new books but also rents them out for a much lesser charge. Second hand books, on return after a long read, gives them a chance to get back a quarter of the amount they picked it up for! Right from teenagers and young adults to people as old as 60, people from all walks of life are seen leafing through the shelves. The most unique aspect of Sophia’s Book Store is that everybody is welcomed with the warmth of her liveliness. Her loyal customers believe that her vibe can make one want to go back there. 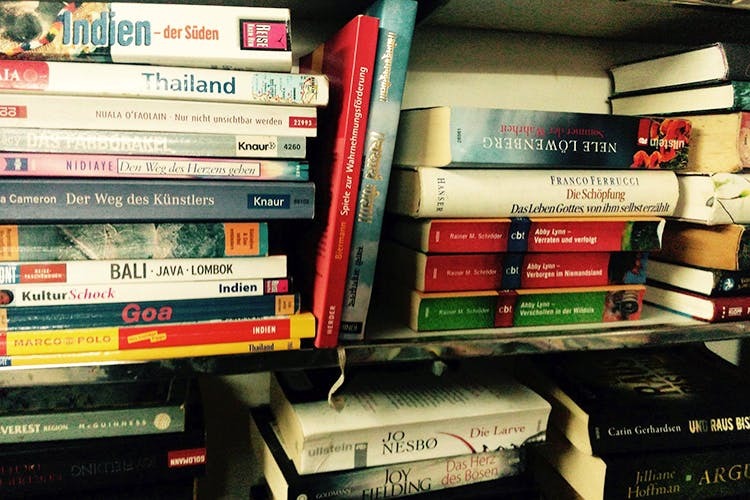 Even travellers from other parts of the world that come to Pune, flock to this store, where they find a book they’re destined to find, stacked in a corner waiting to be picked up! While browsing through her collection of innumerable books, there are chances that one may not find a copy of a rare novel. But apart from Sophia’s determined efforts to find a copy of that book, she also claims to be fortunate enough to receive a copy by the hands of a well-wisher, or someone donating a book to the store. Whether it’s her optimism that keeps people coming in, or her great ability to source the rarest of books, or the very charm of the place, you can only find out by paying her a visit. We totally did, and what a magical experience it was!